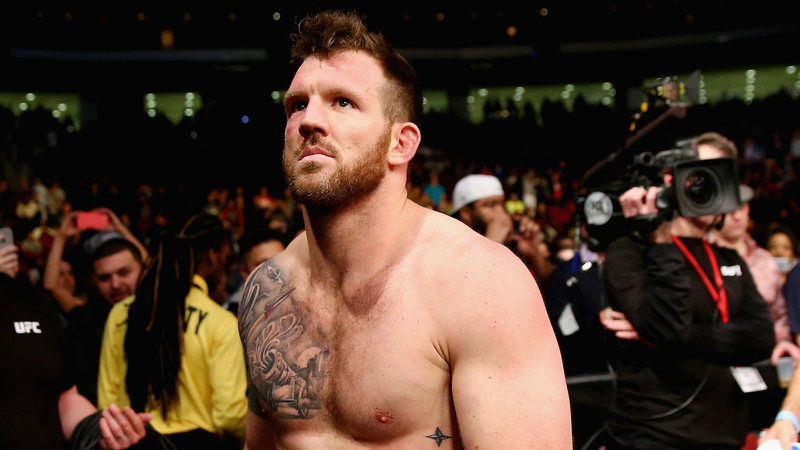 For the first 29 fights of his career, Ryan Bader fought at 205 pounds. But No. 30 brought new change for the current light heavyweight champion as he decided to take his talents to the heavyweight division. Bader competed in the first round of Bellator’s heavyweight grand prix and knocked out light heavyweight counterpart and part-time heavyweight Muhammad “King Mo” Lawal in just 15 seconds at Bellator 199 in May. The next step for the 35-year-old will be a semifinal showdown against Matt Mitrione in the headlining bout of Friday’s Bellator 207. Bader will be facing someone who is a natural heavyweight for the first time in his career. While he did alter a few things in this training camp, the two-time All American wrestler at Arizona St. didn’t feel he needed to change much with his training despite facing a pure heavyweight. “I put on 10 more pounds of lean muscle,” Bader said. “I wanted to do that to see how I would perform and see how my body would feel. I feel great. I was 240 (pounds) at one point in camp and it was all solid and that was four weeks ago. Now, I’m probably 230, 235 and I feel great. I feel like I’m as fast as ever. My cardio is the best it has ever been and, most importantly, I had a great camp. It’s nice to go into a fight 100 percent healthy. One would think adding mass would be to the detriment of Bader. Coming in as the smaller competitor usually means that the lighter fighter would have a speed advantage. Bader and his team at Power MMA decided to not go with that popular theory and have come up with specific game plans tailored to who he would be fighting against. When Bellator president Scott Coker announced last year the promotion would be doing this tournament, experts instantly pegged Bader as the prohibitive favorite even though he has competed at light heavyweight. None of the chatter has gotten into “Darth” Bader’s head leading into the Mitrione bout. He understands that in the heavyweight division, one shot can end it all.